Porcelain veneers have long been one of the most popular cosmetic dentistry treatments in the world because they are able to correct multiple flaws at once, whether they be stains, chips, cracks, or gaps in the teeth. If you’re considering them, then you probably want to know how long you can expect them to last, or rather, how you can ensure that they will. Thankfully, porcelain veneers are made to stand the test of time, and with just a little maintenance, they can easily bring you decades of beautiful smiles. Porcelain veneers are actually extremely thin ceramic coverings that are bonded to the front of the teeth in order to eliminate imperfections and enhance a smile’s aesthetics. They have been the go-to treatment for celebrities for years because they can easily makeover the entire smile with just one procedure. Of course, while this all sounds great, you certainly wouldn’t want to go through a treatment only to have it break down on you a few years later, so how long do porcelain veneers actually last? When talking about the longevity of porcelain veneers, you need to discuss the two distinct parts of them, namely the ceramic itself and the dental bonding that is used to hold it in place. Dental ceramic is extremely strong and natural-looking, and that’s why it is used in a variety of both cosmetic and restorative dental treatments. The dental ceramic used today is often just as strong or stronger than natural enamel. And, dental bonding (or dental cement) has been used for decades in a wide range of treatments to keep dental prosthetics in place. In multiple scientific studies, the average lifespan of porcelain veneers was shown to be about 10 years. The most common reason for their failure was the ceramic breaking, and in a few minor cases, the dental bonding coming loose. Of course, this is just the average, and many patients’ veneers were actually able to last for 20 years or more. How? All it takes is a little bit of maintenance. Brush and floss your teeth every day: The veneers are supported by your natural teeth, and if these are allowed to become weakened or decayed due to a lack of oral hygiene, it’s very likely the veneers will fail. You can keep your veneers looking pristine by just taking care of your teeth. Protect your teeth: Veneers can often become damaged during sports injuries or due to unconscious teeth grinding. That’s why it’s always a good idea to protect your teeth whenever they are vulnerable, whether that’s during sports or while you are sleeping. A simple mouthguard can solve both issues. Avoid chewing on hard things: Chewing on ice or using your teeth as a tool can easily damage your new smile, so be sure to avoid this at all costs! 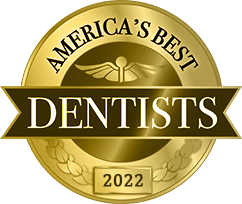 Visit your dentist regularly: In addition to brushing and flossing, routinely seeing your dentist for checkups and cleanings is essential to keeping your new smile looking great. Your dentist will be able to spot any potential issues that could affect your veneers and even repair them before they can cause you any problems. 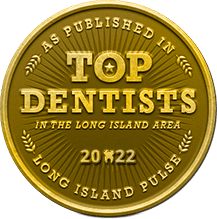 Thanks to high-quality materials, an experienced dentist, and a little maintenance on your part, you can easily expect your porcelain veneers to look fantastic and last for decades. In the end, they are one of the easiest and most effective ways to get the smile you’ve always wanted, and you can trust them to be their whenever you’re ready to show off your pearly whites. 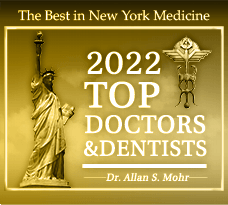 Dr. Allan S. Mohr is a general, restorative, and cosmetic dentist based in Long Island, NY. 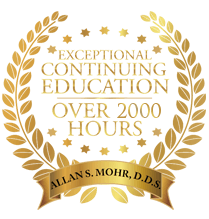 He has been practicing for over 30 years, and if you have any questions about the article you’ve just read, he can be contacted through his website or by phone at (516) 541-7344. Comments Off on How Long Do Porcelain Veneers Last?